Louis Koo’s “Dynasty Warriors” Affected by Financing Issues? Dynasty Warriors <真．三國無雙>, based on the highly popular Japanese game franchise of the same name, finished filming last November, but there is still no screening date due to post-production complications. With a star-studded cast from China, Hong Kong, Taiwan, Japan and South Korea – including Louis Koo (古天樂), Wang Kai (王凱), Han Geng (韓庚), Tony Yang (楊祐寧), Justin Cheung (張建聲), Ray Lui (呂良偉) and Carina Lau (劉嘉玲) – this movie has been highly anticipated by its large fan following and was able to attract significant investment funding, including from Hong Kong film producer Stephen Shiu, Jr. (蕭定一). However, since the recent tax evasion scandal and investigations involving Fan Bingbing (范冰冰) and the use of “ying yang“ contracts in the Chinese entertainment industry, many film productions in China have been stalled due to investors pulling out their funds from projects. In addition, there has also been a significant amount of negative press about HMV Digital China Group, relating to actors leaving and problems with the company’s investment funding, which have affected post-production processes. When approached for comment about whether Dynasty Warriors was facing financing issues, Stephen Shiu, Jr. indicated that the film will definitely be released, saying that there are no problems and that filming has completed and is in the post-production stage. As to when viewers should expect to see the movie being released, he he expects it will be around summer 2019. 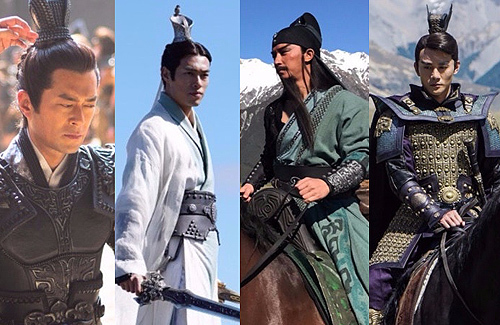 5 comments to Louis Koo’s “Dynasty Warriors” Affected by Financing Issues? Ehhh…too colorful & CGI-heavy for me. Does not appeal to me through the trailer. @coralie There are just too many dramas/ movies that uses CGI filming techniques. And I am really losing interest in watching them. I swear very often the actors just film in the studio…. The music puts me off. Sorry.